We were saddened last year to learn of the death of Canon Eric James – and grateful when we learned that he has left Church Action on Poverty a significant legacy. We give thanks for the life of a constant champion of Church Action on Poverty. 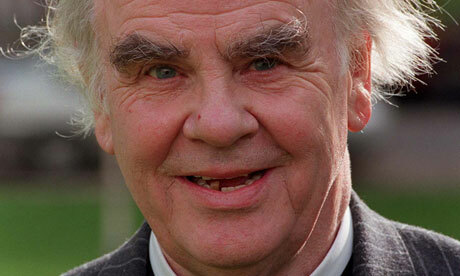 Canon Eric James died in May 2012, aged 87. He was a prominent leader on the liberal wing of the Church of England, and for many years a regular contributor to the ‘Thought for the Day’ feature on BBC Radio 4’s Today programme. He was a prime mover behind the Church of England’s 1985 report Faith in the City, which indicted the effects of Thatcherism in inner-city areas, and the subsequent setting up of the Church Urban Fund to support its mission in disadvantaged and impoverished communities. During the early days of Church Action on Poverty, Eric was director of Christian Action, and dedicated his own life and resources to setting up that group’s influential journal. He actively supported our work in its pages, ensuring that our campaigns were covered in full. His support helped Church Action on Poverty to become as influential and effective as it is. John Battle, who was Director of Church Action on Poverty at the time, recalls Eric’s support very warmly. He describes how Eric was consistent throughout his life in insisting upon questions of structural injustice, and upon linking the gospel to compassionate social action. It’s not easy for most of us to enter ‘the world of the poor’. We have first to hear their cry, their experience. We learned in March 2013 that Eric had left a legacy to Church Action on Poverty, worth £60,000. Eric’s generosity has ensured that we can deliver an effective new programme this year titled ‘Food, Fuel, Finance’. Legacies can make a really significant contribution to our work. Eric’s legacy has ensured the effectiveness of a whole programme, but we can also use smaller gifts to support ordinary people to do extraordinary things. Legacies are a great way of expressing your most deeply-held values in a lasting way. They also enable you to give very generously, without costing you anything right now. If you are interested in leaving us a gift in your will, please visit our website, or contact Janet on 0161 236 9321 ext 1 and ask for a legacies leaflet. This entry was posted in Give, Partners and allies by Church Action on Poverty. Bookmark the permalink.